Are you faced with the task of installing a package of bees for the first time? With the popularity of beekeeping, finding honey bees for sale is easier than ever before. 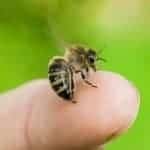 The most common method of obtaining honey bees for your new hive is to purchase a package of bees. 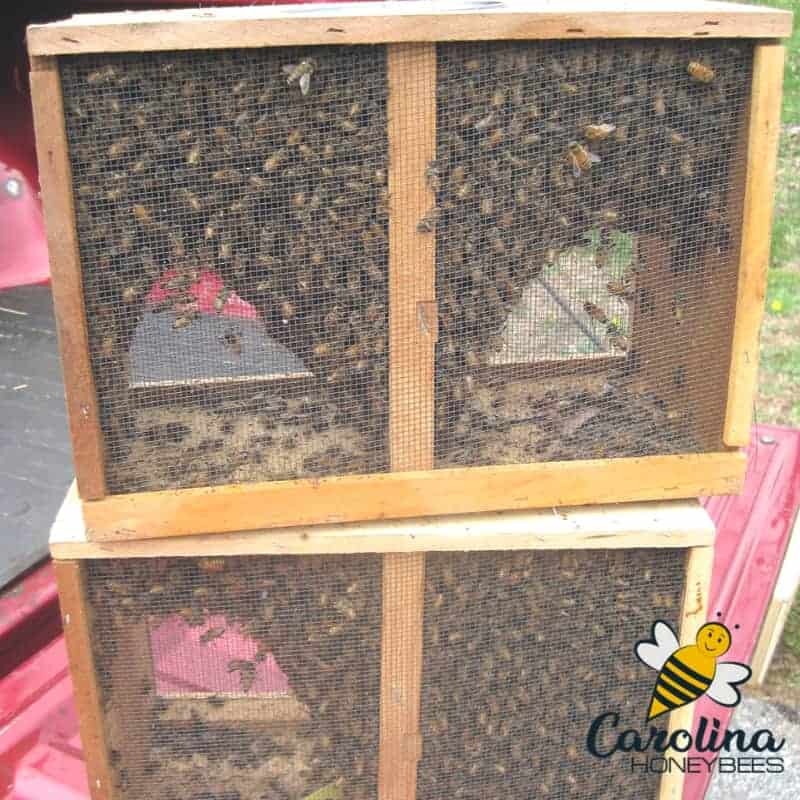 Once the bees arrive, it is your job to get them settled in their new home. Your new honey bee family may arrive via the post office. Each year thousands of honey bee packages ship thru the mail. These bees usually arrive without problems. However when ordering bees online, be sure to find out who is responsible if the bees arrive dead or in poor shape. Sometimes it is your responsibility to file the claim – other suppliers will do it for you. Lucky indeed is the beekeeper who lives close enough to a bee supplier for pickup. In this case, you are able to get the bees home quickly and avoid the chances of them being over-heated in transit. As I tell students in my Online Beekeeping Class, you have a responsibility to your bees. What is a Package of Honey Bees? Honey bee packages are available in several different sizes. A 3-pound package is the most common size sold. Over the years, producers have realized that this is a good number of bees to start a new colony. Smaller and larger sizes are also sold. Inside you will find about 10,000 bees – consisting of worker bees, drones and 1 queen bee. The queen bee is protected inside a special queen cage. You will also see a large can of syrup. This is food to keep the bees alive during their journey to your home. If you pick up your bees locally, arrive early. Your bees are contained in a wooden and wire (or plastic) travel cage. There is little danger of escaping bees – but it is not impossible. It is very common to have a few loose bees on the outside of the package. These loose bees rode from the original bee yard. They are lost and confused and rarely sting unless provoked. The “hitch-hikers” will ride home on the outside of the package and join the colony. Going to pick up honey bees can be a fun outing for the whole family. However, think it through- before going to pick up bees with Grandma, Grandpa, all the kids and the family dog along. People can and do get stung at pickup sites. And, I prefer to let the bee package ride home in the back seat. This is hard to do if everyone in the car is scared to death of bees. If temperatures are in the 50’s F, there is little danger of the bee package being chilled. However, a package of bees can certainly become over-heated. Do not try to keep your bees warm. They can be placed in the bed of a pickup (out of the draft) in cool (but not cold) temperatures.. Put them in the trunk of your car, if you don’t have a long way to drive home. I like to install a package of bees in their new hive as soon as possible. While honey bees can survive in a transit cage, it is not a natural way for them to travel. Upon arriving home with my new packages, I place them in a shaded location. You can also lightly mist the screen sides of the cage with some sugar water. How long is it safe to keep a package of bees received in the mail before installing? Theoretically, you can delay installing a package of bees for several days. As long as the syrup can has food for the bees, they will survive. However, because you receive bees of all ages – more bees will be dead in the cage every day. Unless inclement weather causes a delay, install your package on arrival day. Your bees will experience much less stress if placed in their new beehive right away. Wear your beekeeper’s veil and take the smoker with you to the bee yard. Package bees are rarely aggressive, they are confused and lost. But, confused bees can sting – protect your face. Smoke is not used when installing a package unless problems arise. But, a spray bottle with a little sugar water comes in handy for me. Your hive tool and a small piece of wire (or thread) can come in handy. 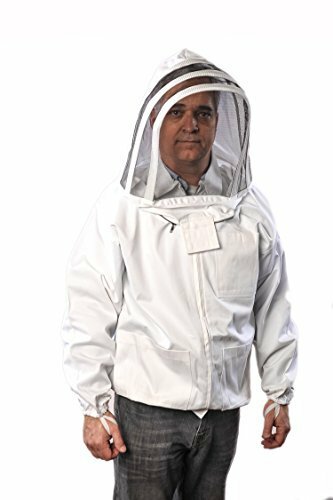 Wearing proper beekeeper wear is important for most beekeepers. This type of inexpensive beekeeping jacket is easy to fold and keep on hand for emergencies. I kept one like this in my car during my early years of beekeeping. 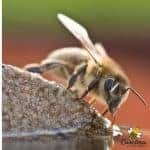 Any time you are opening your hives, even when installing a package of bees – protecting your face is a smart thing to do. When your order bees in a package, the queen bee will be protected inside a small queen cage. Inside the queen cage, you will have a young mated queen and a few workers to care for her. This queen bee is unknown to the bulk of bees inside your new package. The white (queen candy) in one end of the queen cage will allow her to be released slowly. By the time she exits her cage, the colony should be ready to accept her. I do not recommend “walking the queen in” or directly releasing her. I have seen this system fail more times than it succeeded. And what it would be the point? To get the queen out a couple of days sooner? Meh.. Assuming you have a wooden package, use your hive tool to remove the wooden flap on top of the cage. Never fear, a few bees may come out but the syrup can fills most of the opening. The queen cage hangs near the can with a plastic strap. But, we need to remove the can to get the queen – how unfortunate. 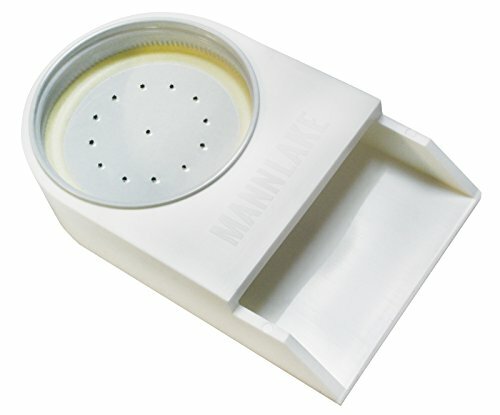 Lightly mist the screen sides of the bee package, then gently but firmly tap the bottom of the package on the ground. Most of the bees will fall to the bottom. Quickly pick up the cage and tilt it enough be able to grab the syrup can. Remove it from the package – now you can grab the strap with the queen cage and pull it out. Set the syrup can aside and temporarily lay the wooden flap back on the package to contain most of the bees. Sometimes it is hard to recognize an unmarked queen in the cage. This is especially true if she is a young queen. Do not be alarmed if one of the worker attendants is dead. But, do check to make sure your queen is alive. You will be placing your queen cage between 2 frames in the bee hive. It is a good practice to have a small piece of wire or string to help hang the queen cage. Fitting a wooden cage into a new hive can be tricky because there is no comb to help hold the cage. A wooden queen cage will have a cork in both ends. Remove the cork from the candy end only !!! It is not usually necessary to poke a hole in the candy. The candy end should point up to prevent any dead bees blocking the exit. Twist the cage so that the screen is open to workers, they will communicate with the new bees and even feed them. It is important to be sure that the exit hole is open – so your queen can leave the cage. 2 Popular Methods of Installing a Package of Bees. Once your queen cage is placed inside the new hive. Remove half the frames. In a 10 frame hive, this leaves an open space about 5 frames wide. Remove the wooden flap from the package opening. Pick up your package of bees, and pour (yes pour) a small mound of bees directly on top of the frames holding the queen cage. Pour the remainder of bees in the opening left by the removed frames. It is an amazing sight, no matter how many times I do it. If you have a lot of bees taking flight, you can gently mist the bees in the hive with sugar water. You do NOT have to bang the package on the ground or anything. You do not have to shake it wildly like a mad-man. Just gently shake it enough to dislodge most of the bees into the hive. Carefully, replace the frames that were removed. The bees in the bottom of the hive will begin to climb up on them. There will be a few bees left in the package. Sit it in front of the hive, most of them will soon join the rest of the colony. Now, it is time to install your choice of feeder and close the hive. Leave the bees alone for a few days so they can settle in. This is my preferred way of installing a package. But there are other ways to manage bees too. Do not underestimate the importance of feeding your new hive of bees. A new colony has a lot of work to do. Providing supplemental food to them is a way to give them a boost. Small quart jar size feeders like these are okay to use . However, you should be using 3 or 4 not just 1. And better yet, put 4 of these feeders inside the hive, directly on the top bars – then use an empty deep hive body to seal the hive. Some beekeepers dislike the shaking method. They feel it is too disruptive to the already stressed bees. I honestly don’t think it matters but if you want to give it a try, this is one way to do it. Each beekeeper has their own way – experiment. Repeat the above steps for hanging your queen cage and removing half the frames. Now we have the open space inside the hive from the 5 frame removal. Set your open package inside the hive – leaving the 5 frames out temporarily. The bees in the package will smell the queen and come out of the package to join here. By the next day, you should be able to open the hive and remove the bee package. Then, replace the missing frames. Replace all the frames! This method of installing a package of bees is fine and will work well in most instances. However, I would not try it in cold weather. Sometimes, the bees don’t leave the package and the queen dies. Be sure that you have all 10 FRAMES back in place. Don’t open the hive every day. The bees need time to settle down and adjust. New packages can leave the hive if the beekeeper is too intrusive. After a few days (5-7) you can check to be sure that your queen is released. Don’t spend a lot of time in the hive. Just remove the empty queen cage, push your frames together properly and go. A few days later, you can do a quick inspection and look for eggs. Removing the queen cage – and pushing frames back together is important. You did it! Don’t you feel like a beekeeper super star!